Luis Guillorme (13), Jeff McNeil (6) and Jason Vargas (44) get new numbers. That’s 15 changes if I counted em all up right, so there’s surely there will be a new feel to the club this year. I have my doubts as to whether an 85-loss team can turn it around as dramatically as the Mets expect to and with four teams all going for it in the East this year it’s going to end up disappointingly for some of them, but competition ought to be what it’s about, I’m grateful they haven’t sat this one out, and I’m very happy that baseball is back as a companion and all you guys for a 20th go-round. Marty Noble’s appreciation for baseball, and what it meant for fans like him, carried through to his writing in a way that no one else who wrote about the Mets ever quite achieved. He wrote with a sense of historical perspective and an eye for detail, telling stories that others in his position simply would not or could not. He was a dogged reporter and a skillful writer whose musings on the seemingly unimportant minutia of the game — who occupied who’s old locker, and the progression of uniform numbers — took on more depth every time he wrote about them, becoming one of the chief inspirations for the creation of this project. 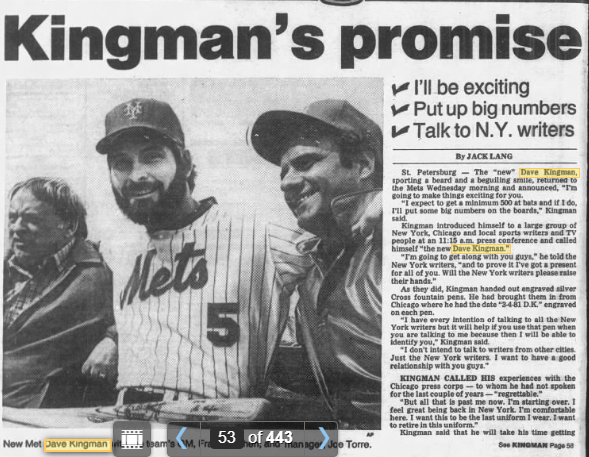 I was fortunate to have met Marty on a few occasions–first to solicit a blurb for the Mets by the Numbers book–and also in a number of lengthy phone conversations over the years that loaned his perspective on the team and its players for this and other writing projects. This included a dynamite interview I published in three parts 11 years ago, and for an event in Manhattan that none among the small number of us attending fans will ever forget. While Marty wrote about uniform numbers in passing, and I do so more overtly, he completely understood what I was doing here and I will be forever grateful and humbled for his support. Marty Noble passed away this week at age 70 and with him went a giant chronicler of Mets history. 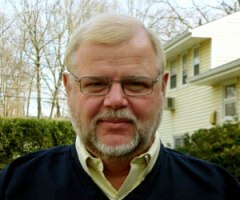 He was a Bronx-born Yankees fan who covered baseball for the Bergen Record in the 70s, Newsday for 24 years beginning in 1981 and finally MLB.com. He was opinionated and competitive, occasionally making the others on the beat look bad, and generating just the right amount of fear and respect from the subjects he wrote about. He brought a bit of himself to everything on the page including his last published piece, an astonishingly deep and heartfelt profile of Tom Seaver, another complicated legend who is also departing. Here’s a few more appreciations of Marty from Mark Herrmann, Greg Prince, Rich Countinho, Pete Caldera and Anthony DiComo. 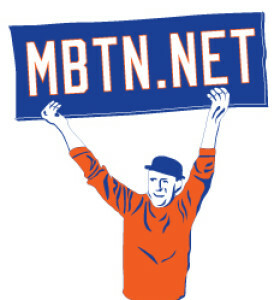 Today marks the 20th year since the Mets by the Numbers website first went live. We’ll celebrate by wishing best of luck to the Mets’ newest No. 20, Peter Alonso, who by the way asked yesterday that everyone just call him Pete. 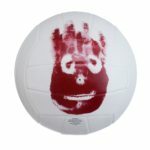 It’s too early to tell whether Alonso, or Pete as we call him, will make the opening day squad. I suspect he’s a longshot till May, unless they can make some trades this spring. 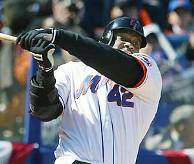 At any rate he’ll be something of a throwback, becoming the first Mets rookie to debut wearing No. 20 in 15 years. They used to do it all the time. Thanks for checking in with the updates on invited infielders Adeiny Hechavarria (25) and Danny Espinosa (88). Regarding the discussion below, is the guy on the far left Scott Holman? 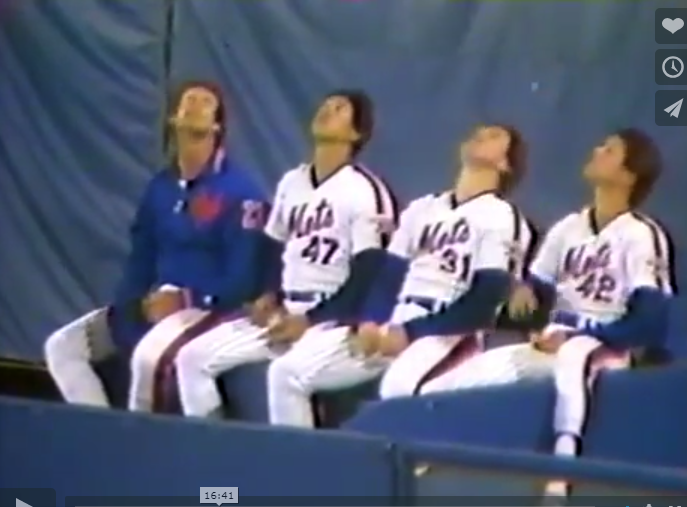 That jacket could say “28.” The capture is from an 86 Mets vid I found here.